Construction site with a bird's eye on the Sunset. Video shooting with drone. Tower crane, excavator and sand. Flying over the construction site. 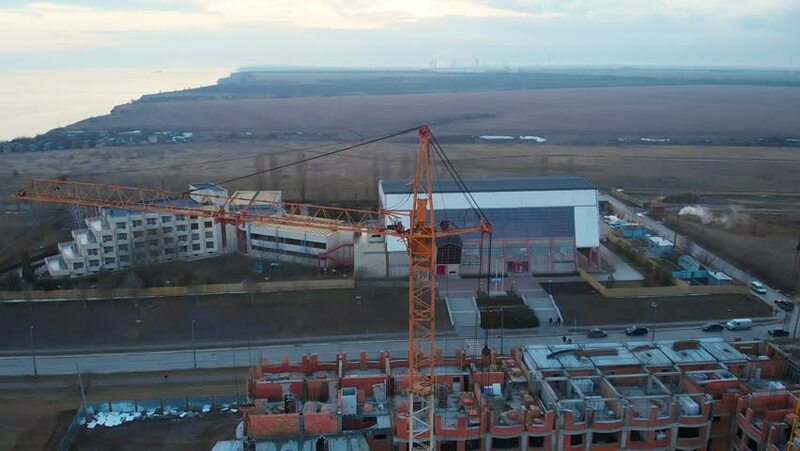 The construction of the plant in the city. hd00:39Train on Kazansky railway terminal ( Kazansky vokzal) -- is one of nine railway terminals in Moscow, Russia. hd00:29A large wooden, sailboat is docked against a wooden pier along the downtown waterfront of Lunenburg, Nova Scotia. Also a world heritage site. 4k00:39HONG KONG - MAY 1, 2018: Aerial view of a modern port container terminal. Import and export, business logistic. arbor cranes and large ships. hd00:21RABAC 2016: A ship is anchored in the port. We can see a nice sunset in the background. Wide-angle shot. hd00:12NAPIER, NEW ZEALAND - CIRCA FEBRUARY 2012: View over Napier port facility with Cruise ship approaching port of Napier, guided by tug boats circa February 2012 in Napier, New Zealand.